A refreshing autumn in Marbella: Puente Romano Beach Resort and Spa proudly presents a new gastronomic experience inspired by Marbella's timeless climate! Summer is ending, and the new season starts with new menus to surprise and delight our customers. At this time of the year, it is very common to find menus prepared with ingredients that keep you warm like truffles, wild game, and stews. 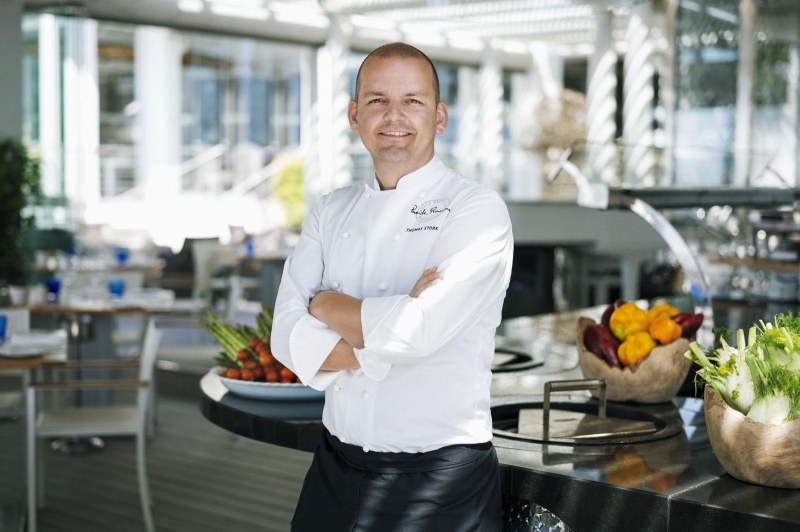 However, our Executive Chef, Thomas Stork, has decided to break away from all seasonal stereotypes and has created a special menu that reflects the advantages of our wonderful climate on the Costa del Sol. In this southern area of Spain, although temperatures may fall, sunny days are still the norm. Temperatures of around 15 to 20 degrees extend the summer during these autumn months until Christmas time. A weather that invites to continue enjoying more elaborate dishes, prepared with light ingredients from all over the World. The Tandoori Menu for dinner is a nod from our Chef to Indian cuisine, a unique combination of lightness and rich flavours. Tandoori refers to the traditional Indian oven used to cook meats at high temperatures after they have been marinated in spices. This menu offers a special combination of seasonal ingredients with refreshing flavours, such as tamarind, ginger and beef carpaccio. Excellent recipes based on international and global cuisine that evokes the cosmopolitan nature of Marbella.